All In One Solar Weather Station | BUDK.com - Knives & Swords At The Lowest Prices! 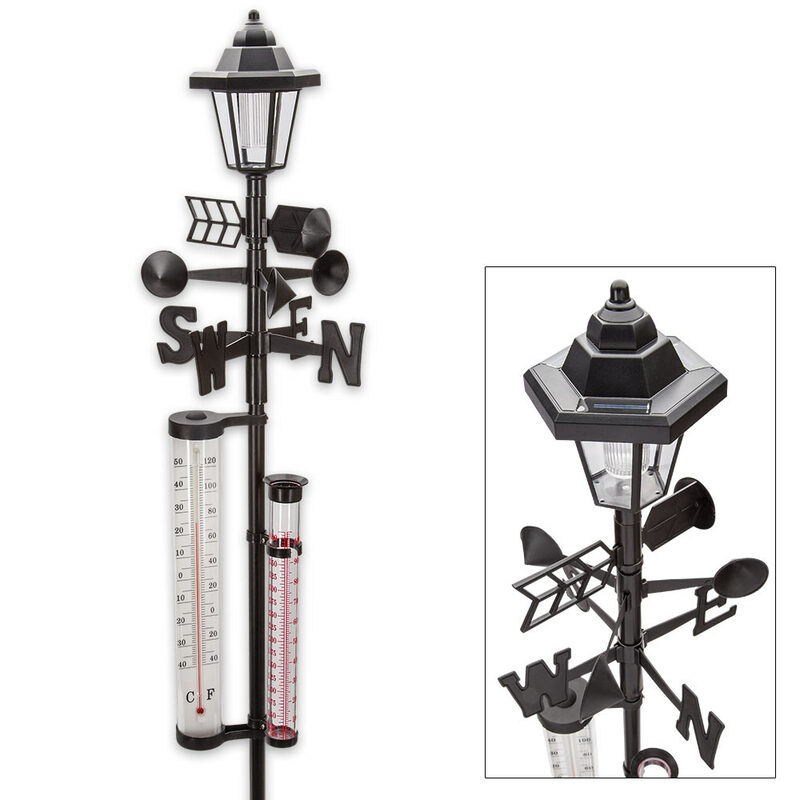 Multifunctional and decorative, the All In One solar Weather Station has it all! 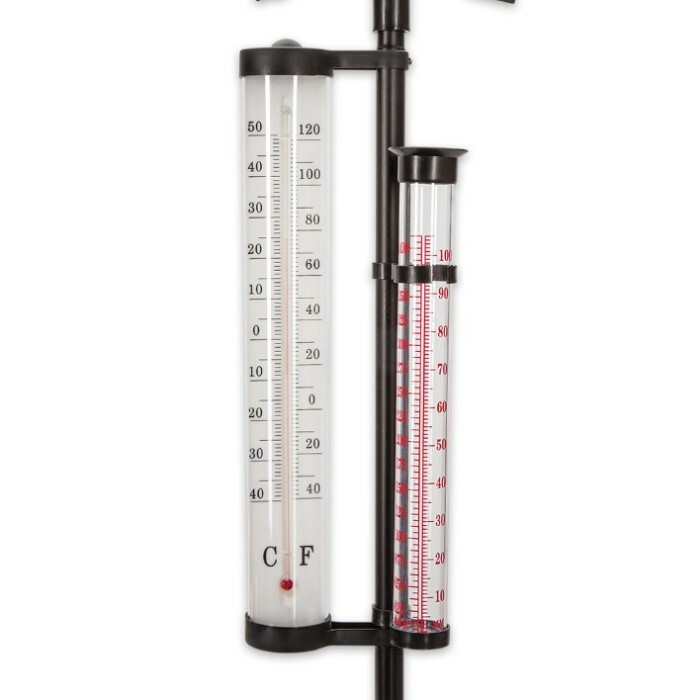 With a temperature display, rainwater scale, cardinal directions, wind speed indicator and a wind vane, you are always perfectly informed about the current weather situation. The LED lantern has a daylight sensor for automatic switching on and off and will give you up to eight hours of light. The thermometer tells you the temperature in Fahrenheit or Celsius. The sturdy iron pole anchors easily anywhere in your yard and the station stands 5’ tall. A must-have for every garden!